Blogging has become very popular nowadays. To a lot of social media/tech savvy people and internet geeks, blogging has become second nature. And many are earning loads from this hobby too. But every so often, no matter the niche, there emerge some popular blogs and bloggers that become influencers, and set standards in their respective niche. And like in every profession, bloggers need inspiration. This inspiration doesn't need to be from the top blogs like TechCrunch or Mashable. Rather, you can look up the top blogs in your own country and feel inspired. For this purpose, we will be sharing some top 10 blogs and bloggers list from across various countries. And here is a list of the top 10 blogs and bloggers from Malaysia for your inspiration if you're from Malaysia (or even if you're not). While evaluating blogs, there's no one or easy parameter that tells us which blog is the best. This is mainly due to the non-availability of accurate analytics data. The most obvious rating system of choice would be Alexa Traffic Rank. But even that's not accurate enough, since it mostly monitors traffic from its toolbar-installed browsers (at least that's how it worked last time we saw). So a site with less traffic could rank above a site with greater traffic in Alexa. But still, it does give us a good estimate of where a website or blog stands. In our rating, we also take into account audience engagement (comments, likes, followers etc), and Google PageRank, as well as 'blog influence' and Technorati ratings (for the past 180 days). Hence, our ratings might not confer with another ranking system, because we evaluate how influential, how popular, and how well optimized and ranked a blog is. Also, it doesn't matter whether the blog is in English or a native language. The purpose is just to find out what blogs are popular. So here goes! HongKiat, of course, needs no introduction. It is one of the leading lbogs in the tech industry, and not just in Malaysia. Head over to it and see for yourself! The name sounds cheeky, yes. But that's because this is more of a personal blog. Nevertheless, it has been able to amass a large number of followers on social media, and has won many awards for its niche, including the Asia-Pacific Nuffnang Blog Awards 2011, Best Entertainment Blog Jan 2012, and 10th of Malaysia's Most Visited Local Sites. AbangNara has been able to generate a large active fan engagement for his blog, which makes it the Number One on our list. Another, very popular Malaysian news blog featuring general news and also other posts on social media such as Facebook etc. It also has a large fan engagement, with more social media followers than AbangNara's blog, but the global ranking is lower, so that makes it the NOC for the top spot. This is an automobile related blog, and it was quite fun visiting it. The design looks great and eye-catching, and so do the pictures. And some of the blog posts were interesting, something you don't find on every other blog. It has a large fan-base too, and I'd say if you're an automobile fan in Malaysia, then this blog should be on your reading list. This is a blog, or more precisely, this is a platform where people share news and information. You can find topics related to Lifestyle, Fashion, Sports, Fun, News, and so on. They even have a broadcasters program where people can contribute and earn money. All-in-all, it's a good blog to follow for latest and interesting news and views. This is another very popular blog that shares interesting and cool stuff related to daily life, including technology, latest news, and so on. Another broad-niched blog that features technology, news, and opinions. This makes me wonder, how do they manage such broad-niched blogs? But nonetheless, the ranking are in front of you. This blog has achieved a great ranking, and a large fan-base. But if we were to suggest anything to the blogger, it'd be improvement in the visuals to make it more attractive. That way, the power of the blog could be tapped and utilized for better purposes, and we think this blog can achieve greater heights. A blog mostly related to movies and celebrities. And has quite a fan-engagement. But then again, you know how viral such sites can become. Still, a well managed blog. A cookie, anyone? (No I don't have one, go make one for yourself :P) Because, now you know of a good and popular cooking blog! Yes, that's right. Who says you can't become popular and rank up for a not-so-well known niche? A blog doesn't necessarily have to be tech-related to become successful. This very blog, for instance, has some cooking recipes, and has managed a 36k worldwide ranking. How? I can't say. But this blog sure is a good one related to cooking, and although I'm no cook who can test out the 'Resipis', I am sure many others would find the information therein useful. Nice blogs these are..thanks for the sharing with us. i hope one day iAwani will soon join the list! Salam Muhammad. Thank you for your input on the top blogger list from Malaysia. I posted and article regarding your list and credited back to you. Again, thanking you, and personally I feel very inspired of your works. And hope Malaysian bloggers too. 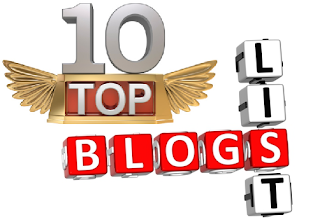 Di top 10 blogs and blogger. Isi dari Artikelnya bagus~bagus sekali. Tapi sdh berapa bln anda mempunyai blog ini ? nice.. that all very superb blog ! tahniah kepada semua yang tersenarai, kepada yang tidak tersenarai, jangan putus asa, esok lusa mungkin turn korang pula..
free home anywhere you choose to live in the world, 2500 dollars monthly as a salary. While just passing by, I took a look at your blog. Really great Appreciable..! Great vacation might be your dream. Travel to Bali is not always expensive as there are many international flights providing special rates for early bird booking. want free tickets to any event in KL? then head to www.mytickethero.com download the TicketHero app and win! win!! win!!! Nice Post but MBT alexa rank is high than all Malaysia top blogs. Also give information on the top 10 blogs Indonesia. Indonesia incredible country.